Wanting a lean burger that doesn’t shrink? A burger where you can actual taste the meat instead of just the bun? These patties come in two sizes, 6oz/8oz and are perfect for any grilling occasion. Bison are the largest indigenous animals native to North America. Bison meat which is nicknamed “the other red meat” – is a high protein food that supplies other nutrients like Vitamin B, Zinc and Iron. Unlike the majority of cows bred for beef, our bison are grass-fed and spend the majority of their lives outside in their normal habitat which helps them to stay in better health and develop a strong muscular structure. This helps to ensure a more nutrient-dense, better tasting product than most beef found at a grocery store. Bison is a great source of lean protein. Bison that are wild and raised outdoors have a better total fatty acid concentration compared to cattle. 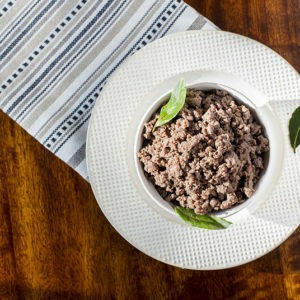 This helps to make bison meat one of the more beneficial omega-3 foods available. 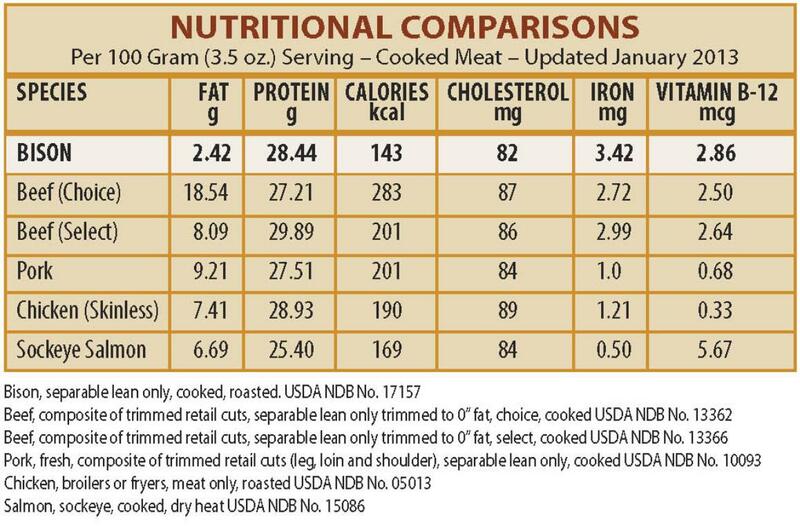 Bison meat is considered to be one best options when it comes to a high protein-to-fat ratio. 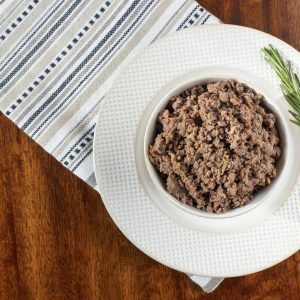 According to the USDA, 100 grams of lean bison meat contains only about 109 calories and two grams of fat, while the same amount of beef has 291 calories and 24 grams of fat. For someone who is health-conscious, this is a pretty substantial difference.